*Becky! She was correct that it is a Mulled Wine Jelly. 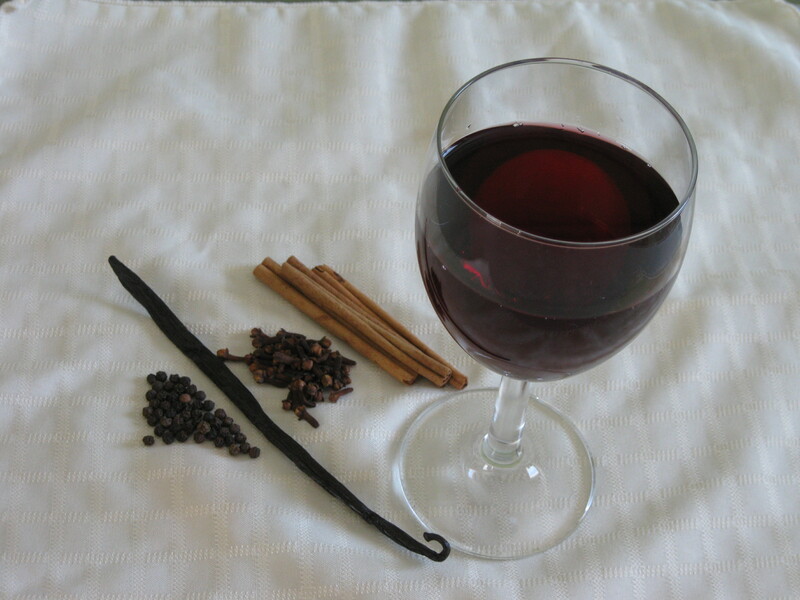 I followed the basic recipe for a mulled red wine of gently stewing the wine with some peppercorns, cloves, orange and lemon zest and a vanilla bean. Add some sugar, pectin and a splash of kirsch at the end and you’ve got a delicious jelly that is made for a cheese platter. I almost forgot to add that the wine is homemade from our own grape vines. It turns out, we picked them too early and the resulting wine was a little too dry for our liking. Still, add enough sugar and spices to anything and it becomes delicious! Thanks for all the entries and guesses, almost all of you had it.